Remember the excitement you felt at getting your first school locker? Your enthusiasm may have been dampened by angst over your assigned locker partner (she has a trombone?! ), but a certain joy over this rite of passage remained. Now, you’ll see lockers in use outside of school hallways and gym locker rooms. This article examines several new applications of storage lockers today. 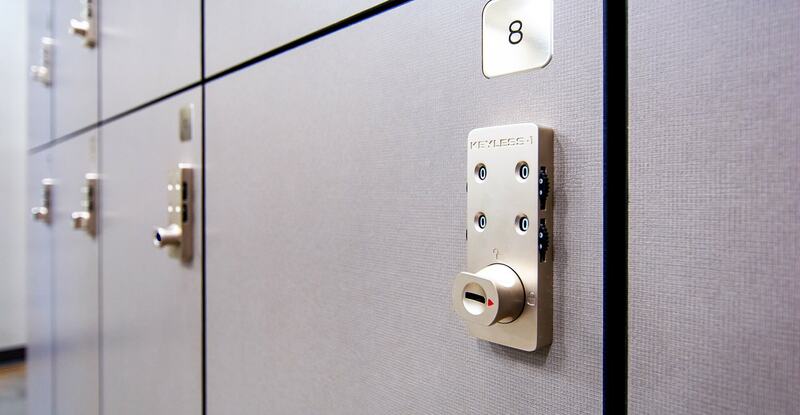 With digital and keyless lockers, specialized storage cabinets, and heavy-duty lockers, the options abound. You may already have access to a wire partition locker for bulk storage in your office basement or residential building. But there are other fresh uses for storage lockers too. 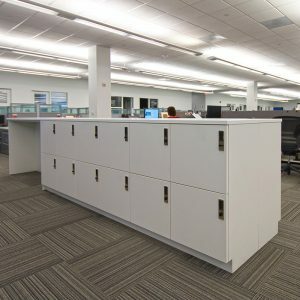 Even large corporations have identified a need for day-use lockers, which can help optimize real estate and support a more agile working environment. Consider an organization with flexible working hours or shifts. 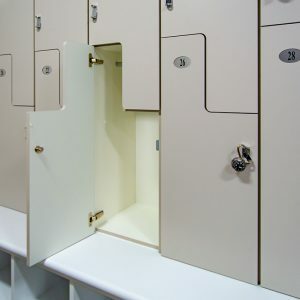 Instead of offering each individual a unique workstation, the business can share resources and revolutionize its workflow management with storage lockers securing personal items at the end of the work day. 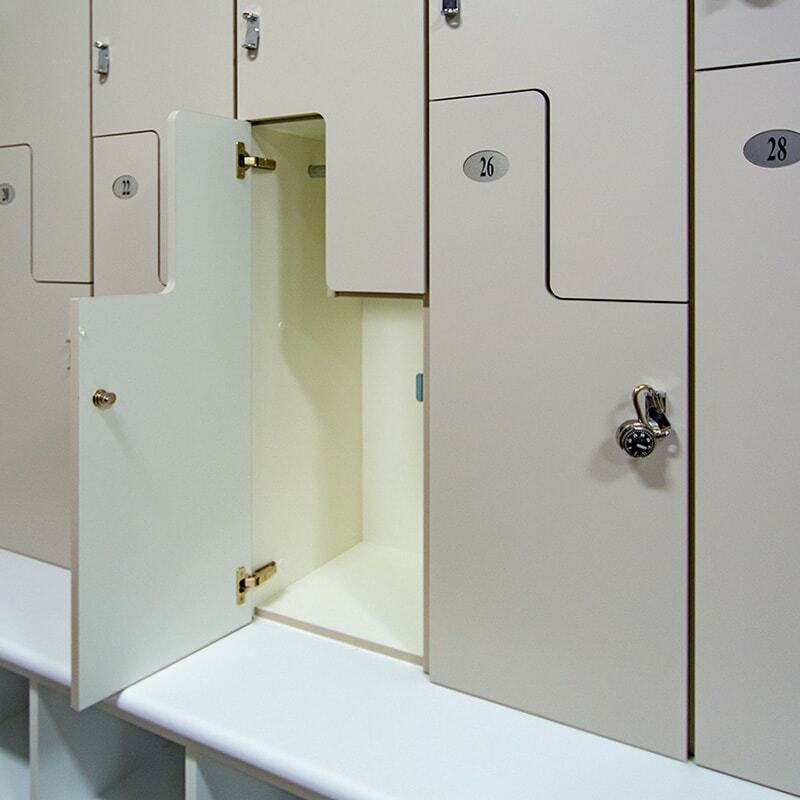 Offering additional cost savings, these co-working locker units can be unattended as they can be installed with secure RFID swipe card or touchscreen interface. Either customization captures access data and enables complete management and control in accordance with operational practices, without direct, eyes-on supervision. Lockers are even getting technologically smart, as evidenced by innovative, electronic parcel logistics solutions for package and express deliveries to commercial and residential locations. The intelligent package asset delivery (PAD) solution provides shippers, private, and public parcel services with secure, efficient and convenient drop-off and pick-up. 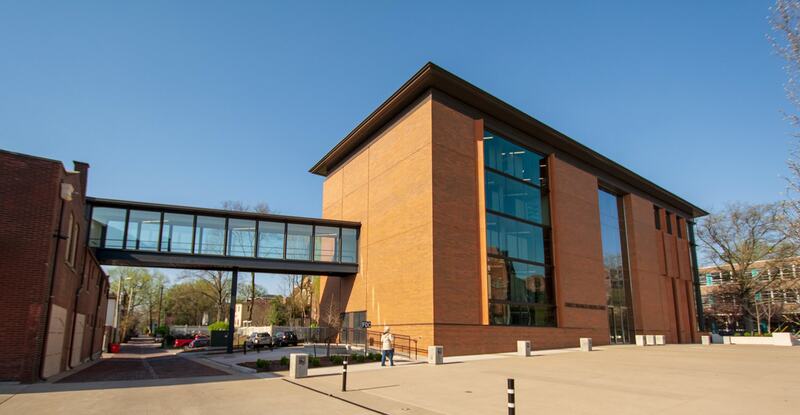 Integrating software, networking and locking devices, this solution enables secure storage and tracking of valuable, time sensitive parcels for business or campus mail rooms, private residences, and more. 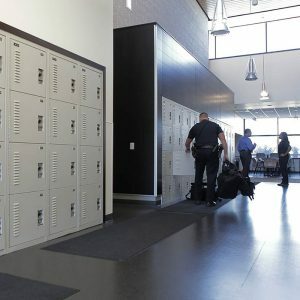 Another technology-friendly locker innovation comes in the form of a charging locker. These unique solutions for electronics can both store and charge laptops, phones, and other devices. Ventilation within the locker ensures necessary cooling air flow for the charging, while backpacks, purses or other items can be stored in a lower compartment, too. 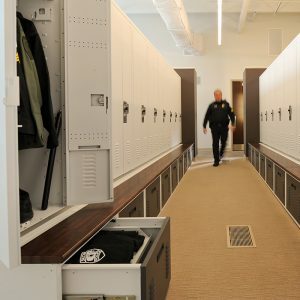 Whether the storage locker is needed to secure something for access at a moment’s notice, or to house uniforms, personal items, weapons, electronics, or papers for the long-term, the best solution can be customized with cost and space savings in mind. 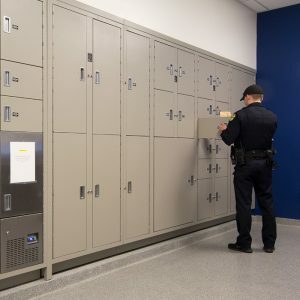 Lockers today are durable with heavy-duty construction to ensure a long-term solution, but are also modular and reconfigurable to adapt to a customers’ changing needs. Whether security, visibility, breathability, or durability are your top concern, there’s a solution for you. Custom is becoming the standard. 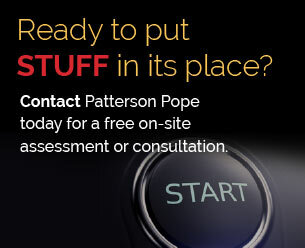 Patterson Pope specializes in helping people effectively store, find, and retrieve the things they need. 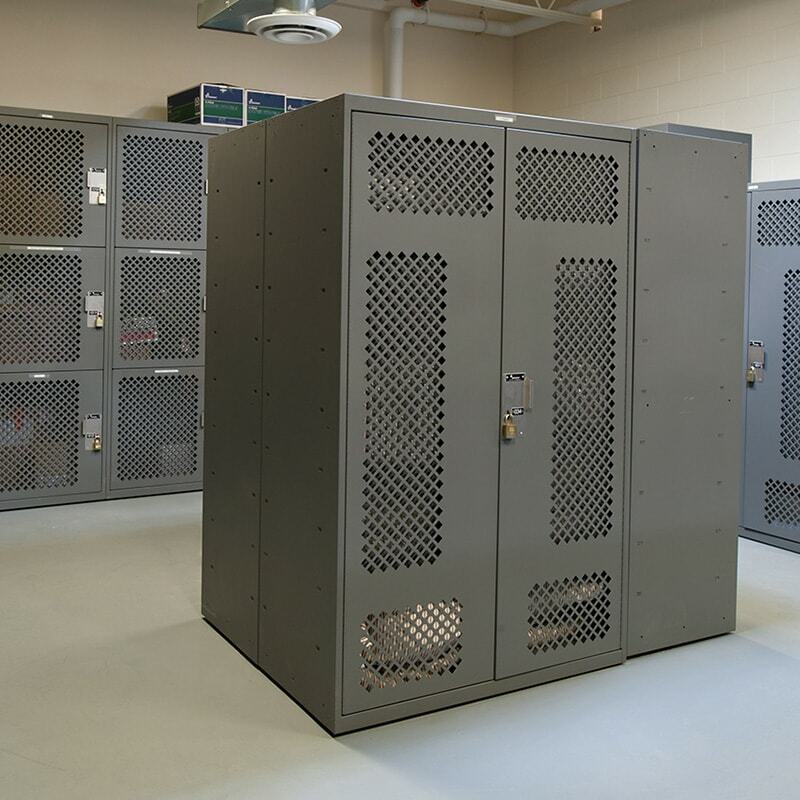 Find out more about our assortment of storage lockers for all places and purposes.